The Marian Koshland Science Museum is housed in the Keck Center of the National Academies. The Marian Koshland Science Museum of the U.S. National Academy of Sciences (NAS) features exhibits that present modern science and scientific issues in an accessible way, geared for the general public. The museum, located in Washington, D.C., explores current scientific issues that are important for the nation’s and world’s public policy decisions, as presented in reports by the United States National Academies. The Museum shares a name with the Marian Koshland Integrated Natural Science Center at the elite liberal arts college, Haverford College, which has also been named in honor of Marian Koshland's service to the field of science as well as her time on that school's Board of Manager's. The Koshland Science Museum is part of the National Academy of Sciences. Exhibits are developed based on guidance from committees of scientific experts, who donate their time and expertise to the museum. Each exhibit has its own Scientific Steering Committee, or group of subject-matter experts who oversee exhibit content and review information. A core group of museum staff members facilitates all aspects of exhibit selection, including development and fabrication. The museum also gets input from advisory groups, whether in-person, in the community, or online. The museum also has a Museum Advisory Board, which is involved in strategic planning. Advisory board members may also review the exhibition topics and review and approve each exhibit's overall design and content. Each of the museum’s exhibitions has as a basis, some substantial study or group of studies published by the National Academies. Expert scientists distill this work, ensuring scientific accuracy. The scientific committees and museum staff consult additional science experts on specific aspects of each exhibition. Finally, the exhibits are reviewed by focus groups from the general public to assure that they not only are scientifically correct, but also user-friendly, enjoyable and effective in conveying the information correctly. Exhibit topics reflect current scientific issues and complex topics that help people to use science to solve problems in their communities. The museum is centered around two primary exhibits: "Earth Lab," which focuses on issued related to climate change, and "Life Lab," which emphasizes learning, aging, nutrition, and infectious disease. The museum also has a "Wonders of Science" section devoted to interactive exhibits. The museum also regularly hosts special events, such as guest speakers from the scientific community and lectures on scientifically-relevant current events. Opened in April 2004, the Marian Koshland Science Museum is named for Marian Koshland, an immunologist and molecular biologist who conducted groundbreaking research in the behavior of antibodies. The museum has been developed as the result of a gift from her husband, Daniel Koshland, a molecular biologist specializing in the study of enzymes and bacteria. The museum is located at 525 E Street, NW. The museum entrance is at the corner of 6th & E Streets, NW, in the Penn Quarter neighborhood of Washington, DC. The museum can be reached from the Gallery Place-Chinatown Metro stop (1 block east and 1 block south), from the Archives Metro Stop (1 block north and 1 block east) or from the Judiciary Square Metro stop (2 blocks west). 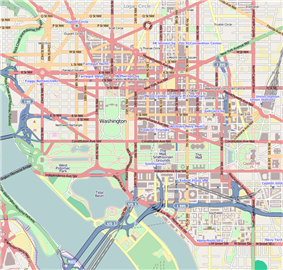 It lies 3 blocks north of the National Mall. Admission is $7 for adults and $4 for students and members of the military.